While pressing vegetables and fruits into delicious, nutritious juice is an appealing prospect, all the work that goes into the process isn’t. From buying all the ingredients, washing them, putting together a juicer, using a juice, and then finally cleaning everything up, it’s honestly quite the hassle. That’s where the Juicero comes in. The Juicero streamlines the process of juicing by combining raw cold press technology with no-mess pouches filled with organic fruit and vegetables sourced, inspected, washed, packaged and delivered by the Juicero company. 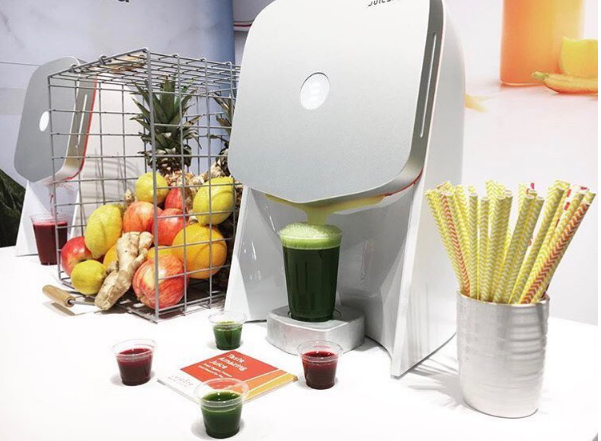 In using tremendous force without creating heat, the Juicero extracts all the good stuff from live fruits and vegetables for nutrient-dense juice in a much quicker process. Juicero is connected to the internet for software updates and to communicate with its companion app. With it, users can keep track of ingredient packs, know when they’re at peak freshness and when they’ll expire, learn about the exact contents and origins of each individual pack, and manage their delivery. The Juicero goes for $699, with packs priced at $35 per bundle of five packs. It’s currently only available in California, Arizona, New Mexico and Nevada, so the rest of the US will have to wait for the company to reach them. The Juicero is a bespoke juicing appliance that, while expensive, does streamline the process to make it radically more pleasant. With this and something like the Cuciniale in the kitchen, keeping diets fresh, nutritious and tasty with so little effort has never been so easy.